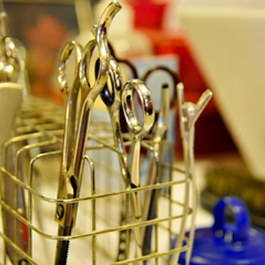 There's nothing quite like sitting in a barber chair and receiving a good, old-fashioned shave and haircut. Feeling the soothing, warm towel on your face, the gentle hair wash, and the razor clean the hair on your neck - it's a definitive experience. 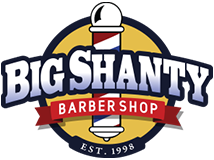 At Big Shanty Barber Shop in Kennesaw, Georgia, we offer the classic services you love in a modern setting that is perfect for all generations. Whether you're looking to update your look or start a new tradition with your son, our talented barbers will accommodate your every need. Get the fresh, clean look you're after. We understand personal style is important. That is why our mission is to help you look your best; it's as simple as that. 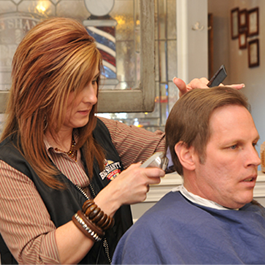 Our skilled barbers will craft a look for you that fits your personality, as well as your lifestyle. We know you're a busy man. 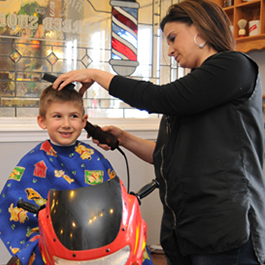 At our family-owned shop, there is no need to make an appointment. Simply walk in and sit down in one of our comfortable chairs. Relax and let us perform our magic. You will walk out feeling like a million bucks. Those double-takes you'll receive will make it all worth it. Saturday, 7:00 a.m. - 2:00 p.m.